Bespoke Jewellery Boutique Shobha Shringar Jewellers known for catering to the artistic dreams of their customers once again brings a spell binding edition of Mughal Haars that brings back the era of bygones back to life. In order to celebrate the ethos of beauty, Luxury & Grace that the royal era symbolizes, every pieces in the collection is designed to bring the majesty of Mughals and is inspired by the elements of nature. This range reflects the prominence of the Mughal era through the gemstones and motifs carved on them. The motifs of flowers, crescent and fishes engraved on the haars symbolize the techniques that were used to create treasurable heirloom designs. Furthermore the Uncut diamonds, emeralds and green enameling used in the designs were treasured as protective talisman and reflect the opulence, dignity of the Mughal Empire. 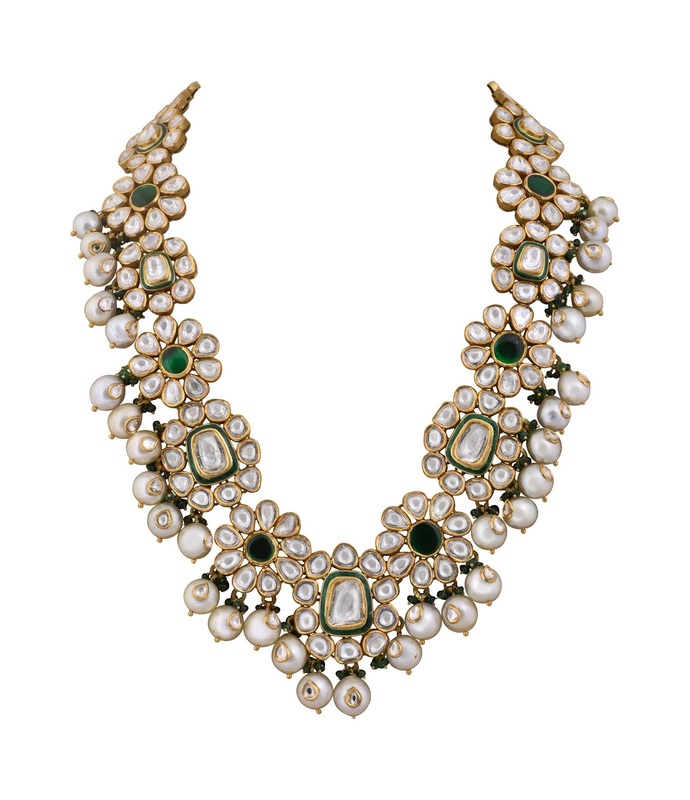 Pearls being treasured for their perfectly spherical shape, silvery-white color, beautiful iridescence and Emeralds referred as ‘Tears of the Moon.” by the emperors in Mughal Court add the vibrant definition and charm to every piece. Be it a festive occasion, grand Indian wedding or family gathering this glorious collection is a perfect companion for any hi-end gathering and exudes a myriad of stateliness. Shobha Shringar Jewellers, is a bespoke Jewellery boutique studded in one of the Heritage structures of South Mumbai. The brand was officially launched in 1984, by Mrs. Shobha Choksey in order to cater to the artistic dreams of clients, and has since celebrated the ethos of beauty, luxury and grace.